Price listed is for 6 stones. 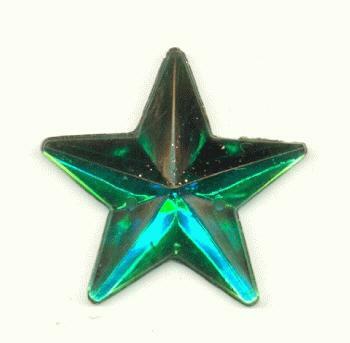 These are acrylic emerald star-shaped sew-on rhinestones that measure about 24mm. They have faceted tops and flat silver backs. 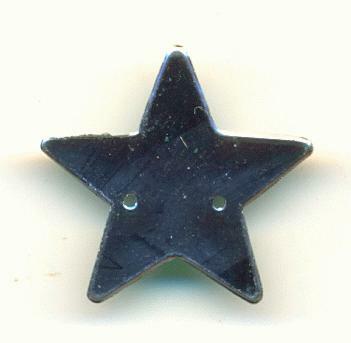 They have a hole on going through the center of two of the points of the star.